Spain has many locations worthy of a road trip, but one of the best is the Andalusía region, especially for those short on time. With a weeklong itinerary, families can cover up to four cities at a brisk pace, allowing viewing of Moorish architecture and design, eating tapas, and enjoying quality time driving through the Spanish countryside. Andalusia, is in the south of the Iberian Peninsula. 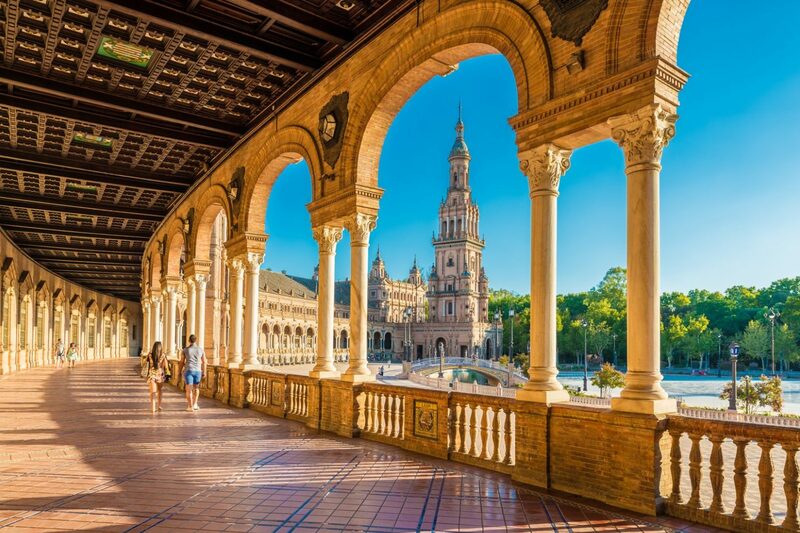 A road trip through this region is ideal throughout the year, as Andalusia's capital, Seville, has the highest average temperature in mainland Spain. While it can get hot in the summer months, spring and fall are perfect for exploring with those that may be affected by extreme temperatures, such as young children and grandparents. The easiest starting point for an Andalusian road trip is Madrid where families can recover from jet lag for a day or two, then hit the road. Cars can be picked up directly at the airport, but know that manual cars are the norm. Automatic cars will cost extra. Car seats and booster seats are available at additional costs and should be reserved in advance. International licenses are sometimes required. Seville is the first major stop on any Andalusian road trip. The city's main attractions are the Seville Cathedral and the Alcazar of Seville royal palace, both of which can be seen in two days or less. Kids will love climbing to the top of the cathedral via ramps that riders on horses once used. Sticking to areas around parks will give children downtime and be close to restaurants. Late-night tapas bars throughout Spain are great for parents once the kids have been put to bed. Next up on this journey is Ronda. This often overlooked hill town is a lovely overnight stop and can serve as a spot to rest and relax for a day or two. It is home to the impressive Plaza de Toros bullring, where families can take a tour even when there aren't tournaments. More impressive, though, are the views from the Puente Nuevo bridge that connects the two sections of the city. You can hike to the bottom of the bridge or explore the town's history by visiting La Casa del Rey Moro palace. Last on any Andalusian family road trip is Granada. This is where the main attraction - the Alhambra Palace and fortress complex - can be experienced. The Alhambra's name comes from the Arabic al-qalaa al-hamra, which means "the red castle". It is necessary to purchase a timed ticket to visit, but you are free to wander the grounds with your ticket. While Alhambra Palace is the main draw in Granada, there are many small and winding streets of the historic Albayzin neighborhood. After this whirlwind road trip, returning to Madrid is suggested. The Royal Palace of Madrid is worth a morning tour, as is a stop in one of the many parks and at the Museo Nacional del Prado.